To Infiniti G35 and Beyond. A Build Story - Part 1. It’s always called art if its in black and white. 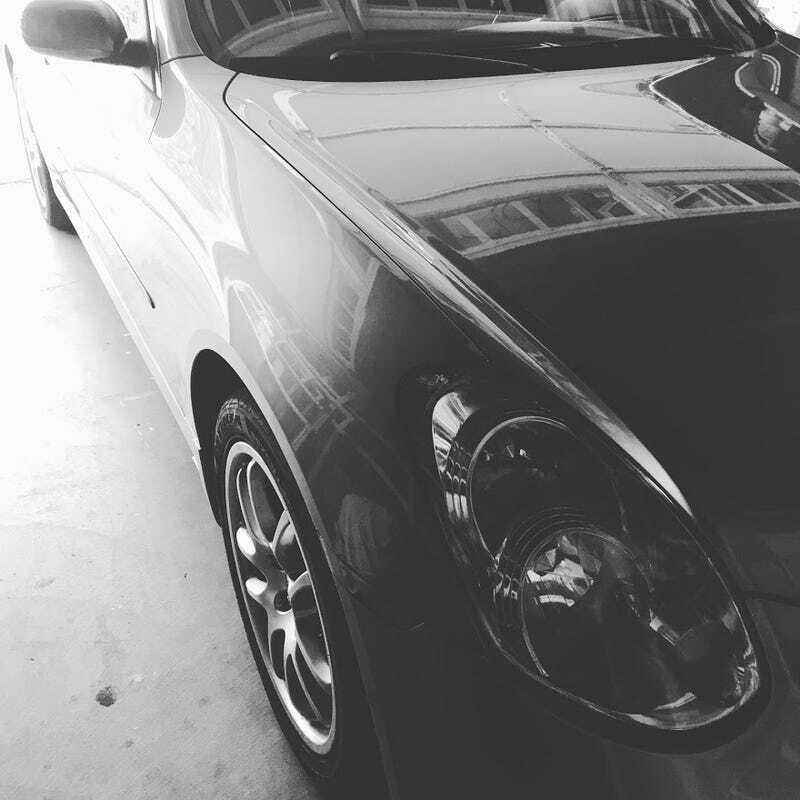 I am approaching one year of ownership of my project: 2006 Infiniti G35 6mt Sedan. I thought I’d take a moment and introduce it, especially after this weekends tow truck adventure. I previously was driving a 2006 Ford F-250 4x4 Powerstoke and decided to launch it to my dad as I wasn’t really USING it. Commuting in a diesel just wasn’t making sense. Once the Ford was out of my stable, I decided to start searching for a replacement. I found a G35 would suit my needs very well. I was slumming searching one night on Craigslist when it came across my phone screen. It was the last year for the first generation sedan, mostly clean (including title), relatively unmolested, and cheap. I did find that it was more difficult to find a manual transmission G35 sedan. There are plenty of cheap automatics out there. Go look! These cars aren’t any slouches either, considering they share their drive train with the 350z. It’s basically a four door 350z. The G35 sedan is actually LIGHTER by about 200 pounds than the coupe version. With a blown engine, and 146,000 on the odometer, the owner was asking... $2700. I quickly called my most excellent friend and mechanic, Rob, who agreed to pick up and complete the engine swap for me. I’d arrange all purchases and shipping of parts. We live 2-1/2 hours apart unfortunately. After several phone calls, and a money wire to Rob, he was off to San Leandro, CA. I decided not to haggle as I thought the price was right. Why a G35? Well I wanted a sports car but, I have two children, and they are both still in massive car seats. So a four door ‘sports’ car would be practical enough. I’ve always been a Nissan fan boy. I thought it could be fun to own a Datsun with some leather (Infiniti). Also, luxury cars that you can row as you go are becoming pretty rare now-a-days. Me likey very much. So, a four door sports/luxury car, rear wheel drive, six speed manual, with about 300 horsepower. I knew this would be fun. Now the reason for the blown engine: Lack of oil. The VQ35DE is known for oil consumption. It primarily effected a specific VQ known as the REV UP. Guess what engine this G35 has? Yup. The REV UP is merely a VQ35DE with variable valve timing on the intake AND exhaust. The standard VQ only has variable valve timing on the intake. The result is about another 13 hp and slightly less torque. The red line is also increased by 500 to 7000 rpm. Now finding a new engine is easy for a REV UP... right? Wrong. Too many people have grenade’d these engines. There is a premium. So much of a premium we actually considered snipping off the exhaust cam signal wire and using a non-rev up ECU. A non-rev up 280 hp version can be found for a little as $800. The total for a used REV UP engine with approximately the same mileage, shipping included, from half way across the country? $1775. Ouch. Special gaskets for a special G35. Front end-less is the fastest way to victory. The total cost of all this madness? Knock. Knock. Who’s there? SUCCESS! Some of you are going to say that is a lot of money for a 12 year old sports/luxury car with 146,000 miles. I agree. Could I have bought the same car with the same stats for the same money? The answer: Yes. I believe that saving this car was much more difficult, stressful, and time consuming, but worthwhile in the end. It has new gaskets all throughout, clutch, flywheel, etc. There is a piece of mind in knowing the sum of the parts when buying a used car. I’d rather have the devil I know than the devil I don’t.